Every single card in a Tarot deck is associated with a particular number. If you already know a thing or two about Numerology, you’ll understand the meaning and symbolism contained in the numbers 1 – 9. These hold true for the cards in a Tarot deck too. What are Tarot Card Numbers? 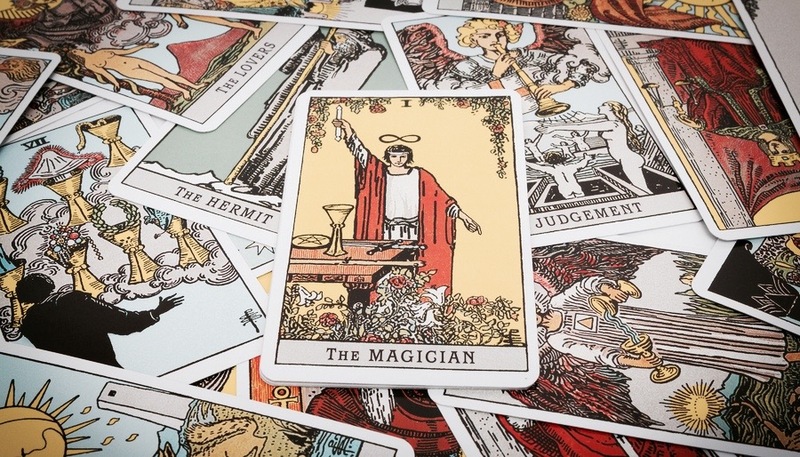 If you’re new to Tarot, the major arcana are the first 22 cards that most people recognize. They tap into a deep, universal energy and hold a lot of powerful meaning. When you pull a card from the major arcana in a tarot reading, it often indicates that something big and important will happen, be it a significant new event, person, or as a general signal of change on the horizon. Are Numbers & Numerology Used in Tarot Readings? As mentioned before, the major arcana go up to 22. So in Tarot readings, if Numerology is also being used then some summing and reducing maybe required. For example, the Tower is number 16 so it may be appropriate to reduce this to 7 (1 + 6 = 7) to reach a deeper level of meaning. And the Moon is number 18 so again, reducing this to 9 (1 + 8 = 9) may offer additional insight. But in these cases, an experienced practitioner would be wise to look at the individual digits too. Numerological associations are easy to work our for the minor arcana – aces align with the frequency of the 1, and the cards in each suit are numbered 2 – 10 (10 will be reduced to 1). In readings, these numbers indicate patterns and sub-themes which need to be considered, alongside the meaning of the cards. Aside from readings, finding your Tarot birth card is a fun and insightful way to learn more about how the energies of Tarot’s major arcana cards influence your personality and life. First, You Need Your Life Path Number. To calculate this, simply add up all the digits in your full date of birth. My birthday is 22nd January 1982 or, in numbers: 22.01.1982. So the sum would be: 2 + 2 + 0 + 1 + 1 + 9 + 8 + 2 = 25. You’re aiming for a single digit number, so if yours is above 9, you then reduce this number by adding the two together. Keep reducing until you get a single digit. In my case, 2 + 5 = 7. So seven is my life path number! You can read more about the Life Path Number HERE. Or for our free Numerology Calculator, simply click on the link below! Just enter your info and we’ll do the decoding for you! What do Tarot Card Numbers Mean? Once you know your Life Path Number, you’ll need to find the corresponding card from the Tarot’s major arcana; it is simply the card with the very same number! By learning about your Tarot birth card, you can come to better understand the energy you attract into your life, the way you react and interact with others, your strengths and struggles in life and much more! Back to the example from above, as my Life Path Number is 7, my corresponding card is The Chariot. To discover your Tarot Birth Card, simply grab your Tarot deck, filter out the major arcana and take a look at their numbers. Or alternatively, check the list below. This list describes the 9 Life Paths and their corresponding Tarot cards. If your Life Path is a Master Number – either 11, 22 or 33 – in this case sum and reduce the digits. Click on each number and card to find out more about the card’s universal archetypal energy, its strengths, challenges, compatibility and even ideal work or career potentials! Obviously, you can’t gain a true and complete picture of somebody through their Tarot Birth Card.